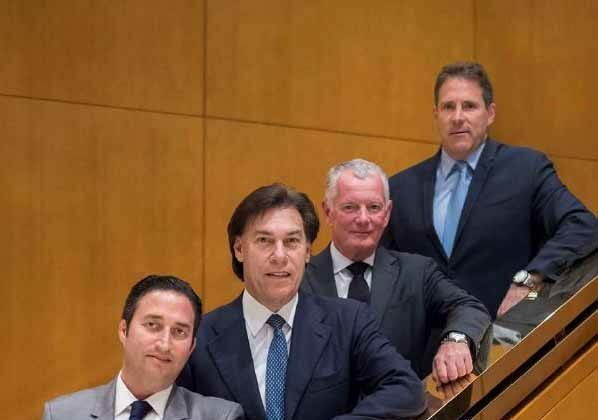 Top Toronto brokerage Milborne Group and Miami’s Pordes Residential have formed a strategic partnership to sell South Florida luxury real estate to wealthy Canadians. Their initial efforts are focused on two ultra-luxe Miami projects: The Ritz-Carlton Residences, Sunny Isles Beach, developed by Fortune International Group and Château Group; and Fendi Château Residences, developed by Château Group. 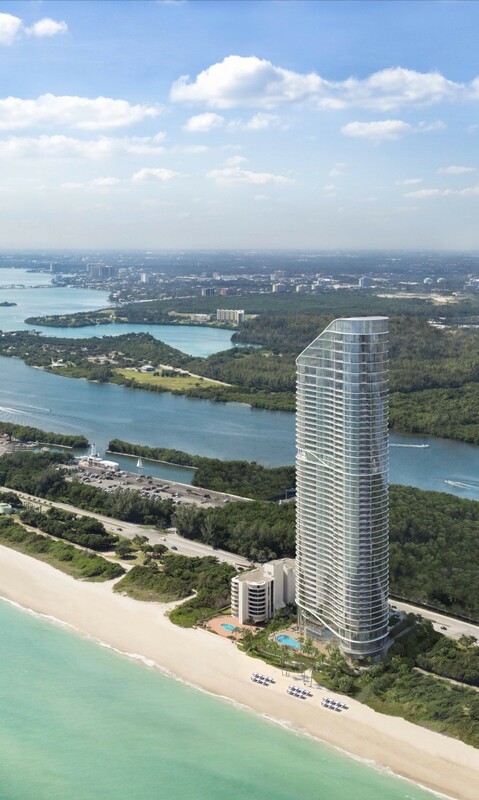 The Ritz-Carlton Residences — designed by Arquitectonica, with interiors by renowned Florentine architect Michele Bönan — will have a beach restaurant, two pools, kids club, spa, fitness centre, and wellness centre. There will be no hotel component; the building is purely residential. But it will offer hotel-like concierge services and amenities. The Ritz-Carlton Residences will have 212 units ranging from 1,605 to 3,640 square feet; penthouses are up to 6,320 square feet, and buyers can combine units to create spaces as large as 9,000 square feet. Prices start at $2.5 million. The project is under construction and occupancy is slated for 2019. 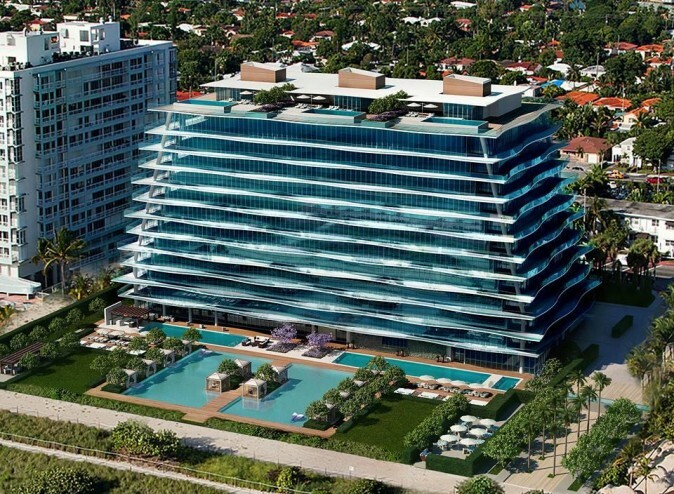 Fendi Château, steps from Bal Harbour Shops — a high-end retail destination—will be a 12-storey boutique building located right on the beach. The project has 58 flow-through residences, ranging from 3,300-square-foot three-bedroom units to 7,000-square-foot-plus five-bedroom suites. (The penthouse, a duplex, is selling for $25 million.) Fendi Château will have a VIP dining room and Fendi-designed kitchen, and a pool with a bottom that rises up to create a dance floor. Toronto broker Hunter Milborne, whose firm is behind 20 per cent of all new GTA condo sales, including 5,200 of the 30,000-plus units sold in 2016—is such a fan of The Ritz-Carlton Residences that he ended up buying a vacation home there. That led to his association with Pordes CEO Mark Pordes and his team. “It’s easy to market and sell something if you’re personally involved with it and motivated and committed,” Milborne said during a recent press event to spotlight the two projects and his firm’s partnership with Pordes’ group. Pordes said he is aiming to set up a shop in Toronto in order to have a direct connection to a market he’s hoping will show keen interest in South Florida luxury real estate. The numbers suggest there won’t be an issue. Pordes vice president Adam Kaufman noted that Canada recently overtook longtime leader Colombia to become the top international country using MiamiRE.com, and that Canadians currenty represent 32 percent of all foreign buyers in Florida. “This market is ripe for Florida developers to market to,” he said. Ryan Starr is a Toronto-area freelance writer.